The younger you are the more likely you've not even thought about retirement yet. If I'm honest if it wasn't for the Hubby I wouldn't have done. The Hubby takes care of most of the financial stuff in our house but I do like to know where our money goes and what money is coming in. I think it's important to keep track of your financial position, that way you're aware of any upcoming problems. Like retirement. "But I'm not even close to retirement age so why bother thinking about it?" But here's the thing, if you don't think about it now you could end up with problems when the time comes. You should be saving for your retirement NOW. For men born after 6 April 1951 and women born after 6 April 1953 the current State Pension is no less than £151.25, which works out at roughly £7,865 per year. It doesn't sound like much does it? That figure will be based on your National Insurance record and you need to have 10 qualifying years to get State Pension. It is all very confusing but what I get from it all is if I want to have any kind of liveable income by the time I retire then I need to be saving for it. The Hubby and I have thought about our retirement already and have a few things in place, one of which is an account with Nutmeg. Nutmeg is the UK's first online discretionary investment management company. In other words they will use your money (with your consent of course) to invest, according to your preferences, and earn you extra money (hopefully). They are regulated by the FCA and endorsed by the UK Government. 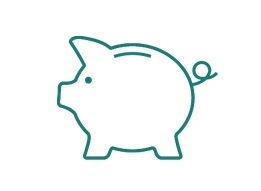 Nutmeg have a range of accounts to choose from, including ISA's and Pensions. They're trying to make saving for your retirement easy by putting it all online and making it about you. On setting up an account you'll be asked how long you want to invest, how much, and what your preferred level of risk is. Once they have the information your account is expertly managed by their team. Their fees are clear and simple, charging between 0.3% and 1.0% (including VAT) per year, depending on how much you invest. That charge covers all your investment pots, so if you decided to invest in other things too you wouldn't be charged extra. Having a Nutmeg account allows you to check on the state of your pension whenever you like, it is online and accessible 24/7. So no more waiting for that annual letter from your current pension provider, just access your online account. You can even transfer your current pension into a Nutmeg account providing its total value is more than £5,000. If you haven't already I'd recommend looking into saving for your retirement. Although it seems ages away you need that time to save. So tell me, is retirement on your radar now?